The HPLD an HPLN standard high power laser cables are used as fibre-optic beam delivery systems for diode lasers, Nd:YAG lasers and fibre lasers. These proven LLK systems are available with a variety of options. This system makes combination with other plug-in connector systems possible. 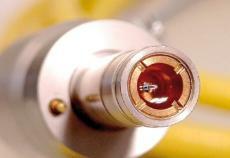 Connection and utilisation of all commercially available laser sources are also guaranteed in this case. 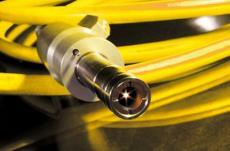 No more compromises: we produce custom-made high performance laser cables! Frank Optic Products® provides the opportunity to manufacture high performance LLK according to specific requirements at an affordable price. Building on our basic cable, we develop and manufacture fibre-optic laser cable systems to comply with your specific requirements. 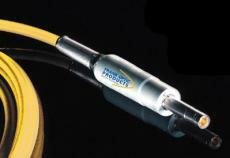 Hence, with the cable systems from Frank Optic Products® you no longer have to make expensive compromises. This high power LLK is a cable of extremely stable design, stable for up to 7 kW laser output. All beam delivery systems have a special prealignment of the glass fibres and are protected against misalignment. They can be supplied with a customer-specific laser connection flange. and can be set up with diverse other options as well as individual customer-specific components and further safety equipment (please refer also to the table, HPLD/ HPLN overview).